Copper Canyon Press, 9781556595189, 104pp. 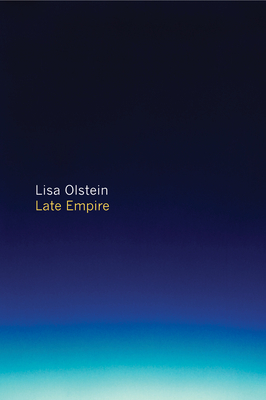 In her fourth book--a gorgeous call-to-arms in the face of our current social and political conditions--Lisa Olstein employs her signature wit, wordplay, candor, and absurdity in poems that are her most personal--and political--to date. Like a brilliant dinner conversation that ranges from animated discussions of politics, philosophy, and religion to intimate considerations of motherhood, friendship, and eros, Olstein's voice is immediately approachable yet uncomfortably at home in the American empire. From "Essay Means to Try"
Whistle, sometimes crying . . . Crying is how we enter the world, Whistle. by storm, we all tear apart and are torn. Lisa Olstein is the author of four books of poetry and earned an MFA at the University of Massachusetts, Amherst. She teaches at the Michener Center at the University of Texas and lives in Austin, Texas. Lisa Olstein: Lisa Olstein's debut collection of poetry Radio Crackling, Radio Gone (Copper Canyon, 2006) won the Hayden Carruth Award, and her second volume, Lost Alphabet (Copper Canyon, 2009), was named a "Best Poetry Book of the Year" by Library Journal. After receiving her BA from Barnard College, Olstein lived in Greece and studied at Harvard Divinity School before deciding to pursue an MFA at University of Massachusetts Amherst. She currently teaches at the University of Texas and lives in Austin.